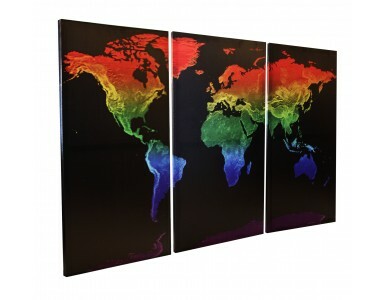 Rainbow World Map Designer Triptych - 48" x 31.5"
Shippied only to UK & USA - FREE DELIVERY! 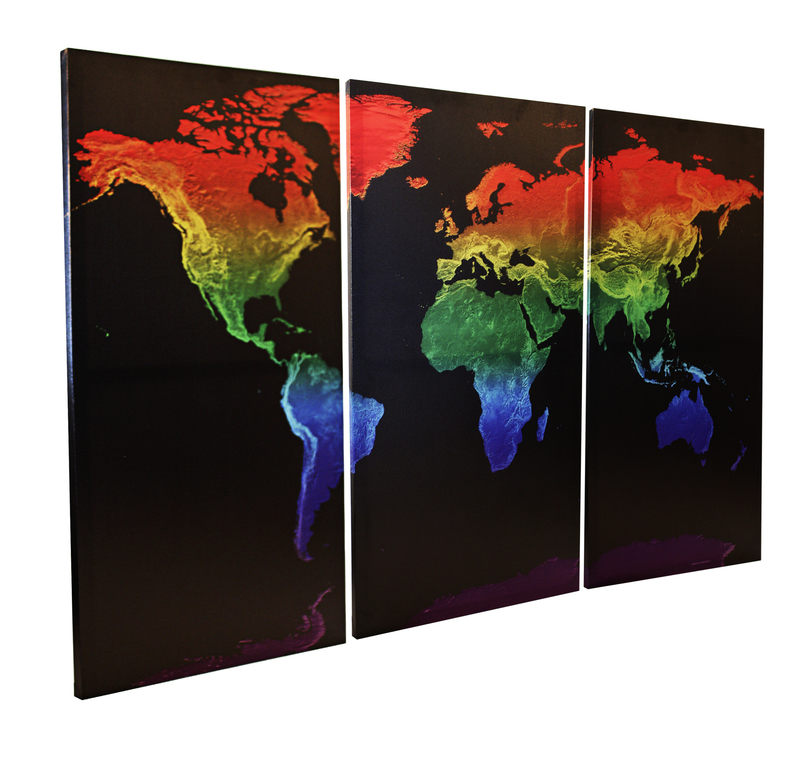 Best value 3 Panel Split (Triptych) Physical World Map artistically presented in nature's wonderful colours of the rainbow. 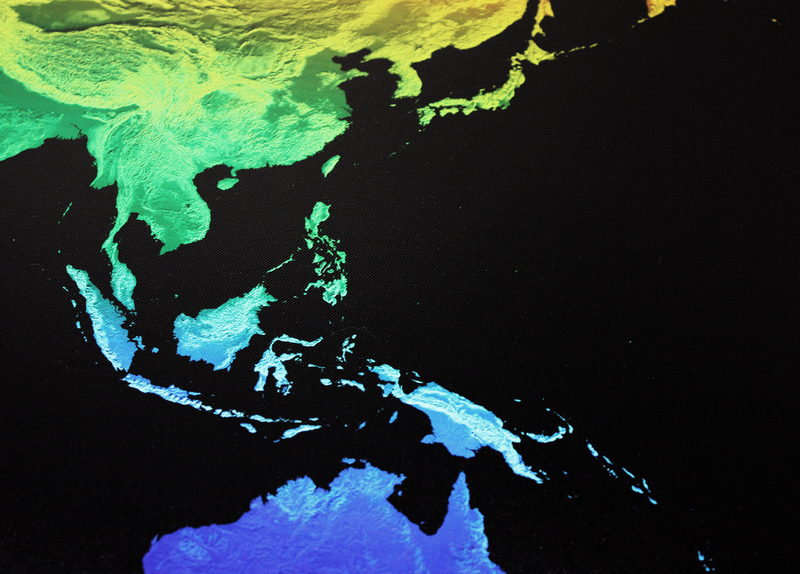 A delightful depiction of our planet Earth's surface with highlighted and contrasting mountain ranges, valleys and plains. Also a perfect celebration of life's diversity. A super gift at a very affordable price!! 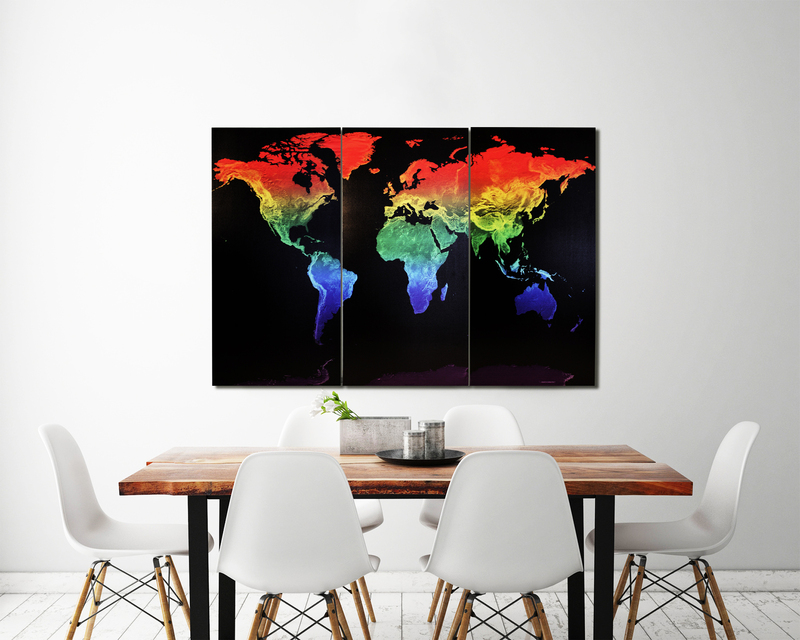 Ready-to-hang, a firm favourite for outstanding impact & style. An ideal display in the home, office, boardroom, reception or showroom. 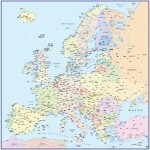 Also a great map gift for any special occasion - weddings, birthdays, anniversaries. 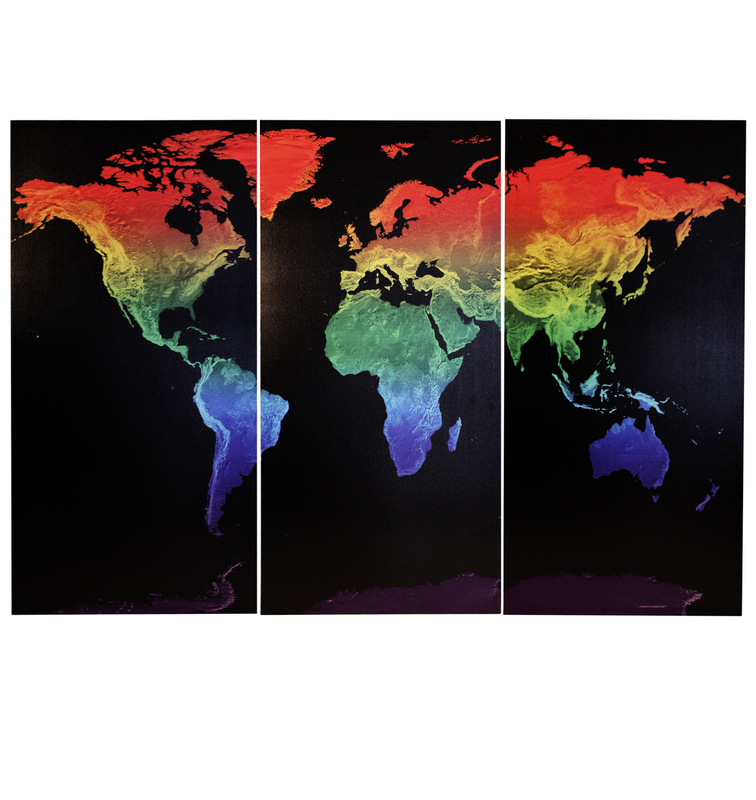 Map Size: 3 Panels (each 16 inch wide x 31.5 inch deep) for a combined size of 48 x 31.5 inches. Non-Custom Printed Product shipped only to UK & USA - Free Delivery!